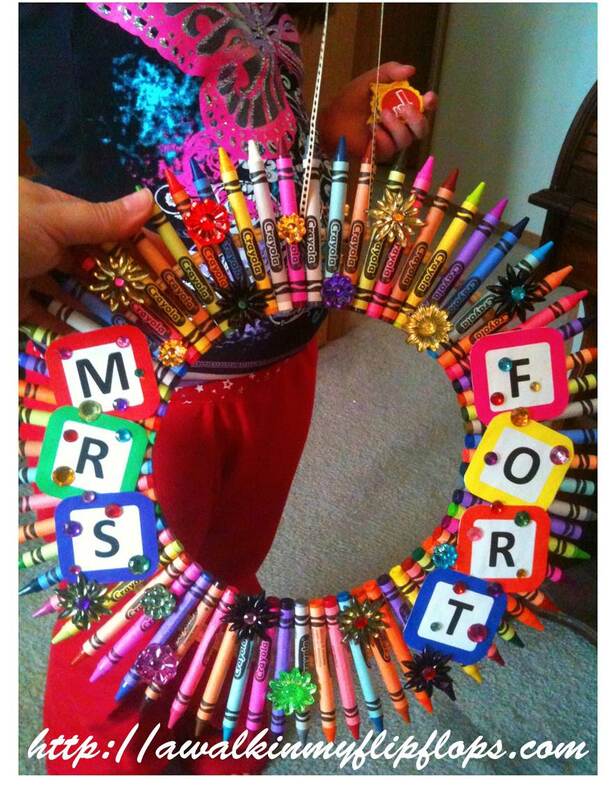 I saw this crayon wreath on Pinterest and thought it would make a cute suprise for Emma’s Kindergarden teacher. Emma absolutely adores her. Its so simple and cute. And of course we had to add our own spin on it, adding some “bling”. We picked up some supplies and got started. 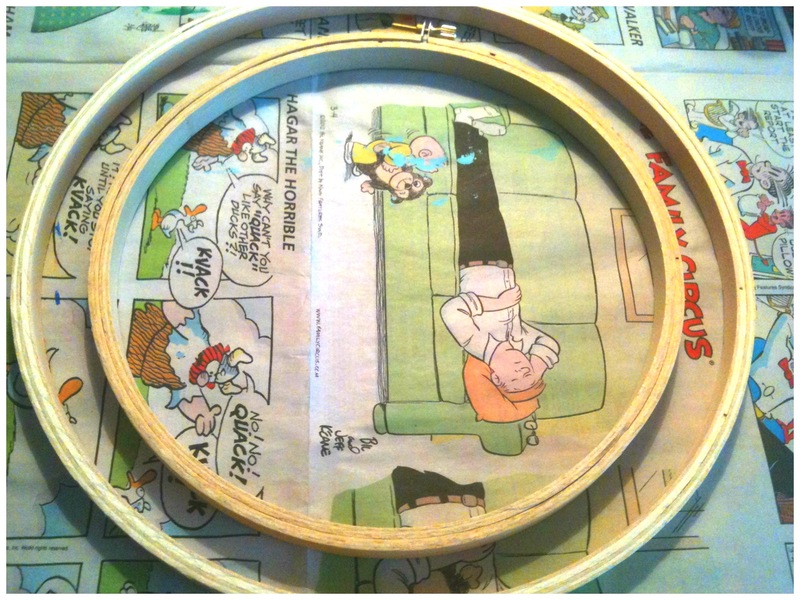 I took two ebroidery hoops, one slightly smaller than the other and placed them one inside the other, like this…..
Then we started laying the crayons out across them (without the hot glue first) to make sure they would fit. 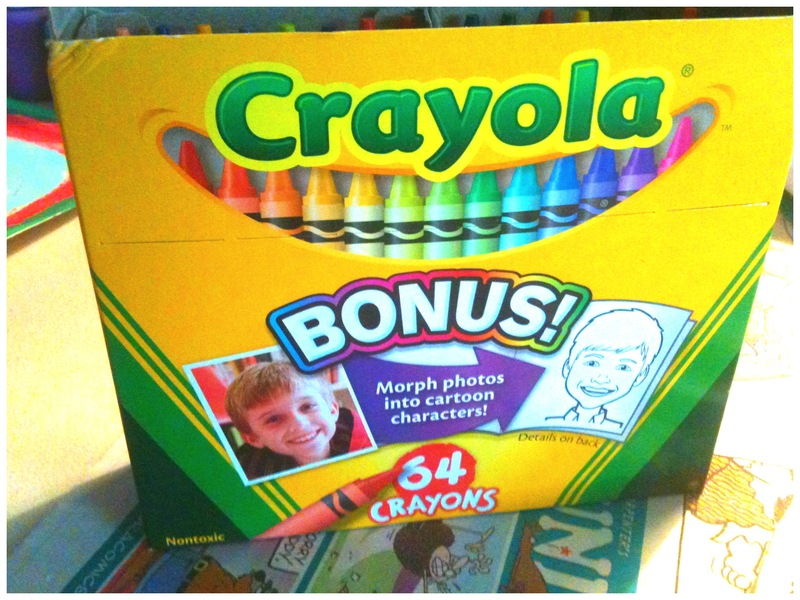 I ended up needing about 68 crayons…I started with a 64 box, so I had to steal some from my daughters stash. 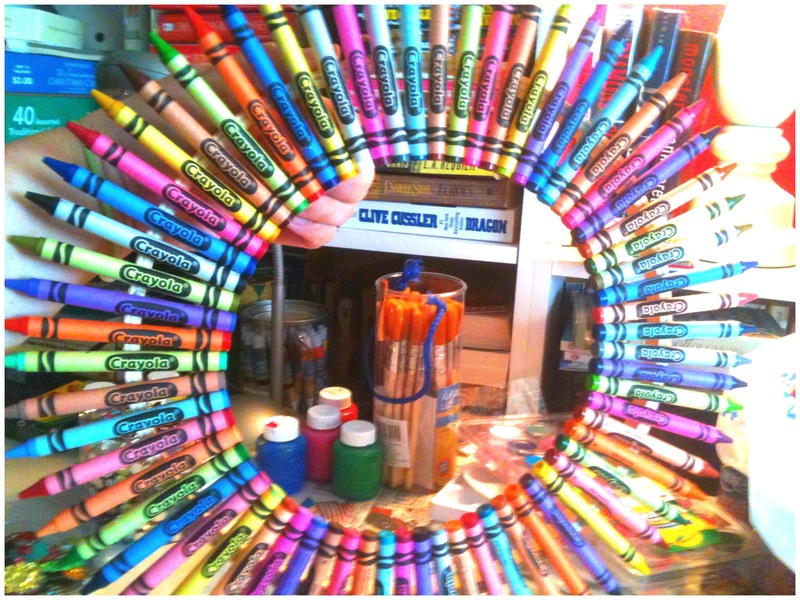 Once we got them all on, I lifted up each crayon putting a dot of hot glue on each hoop, and layed the crayon back down into it. Here it is after they are all glued on…. 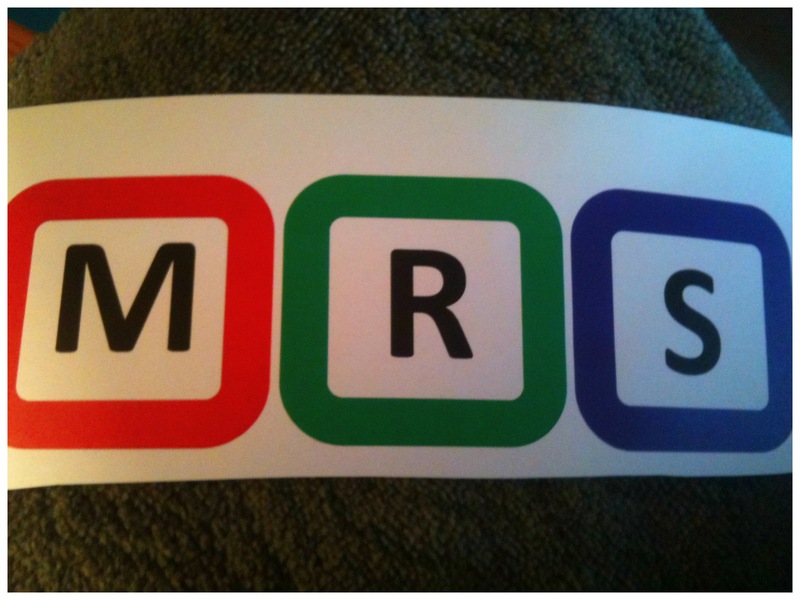 I printed out the teachers name on card stock with a colored border to kind of make them resemble alphabet blocks. 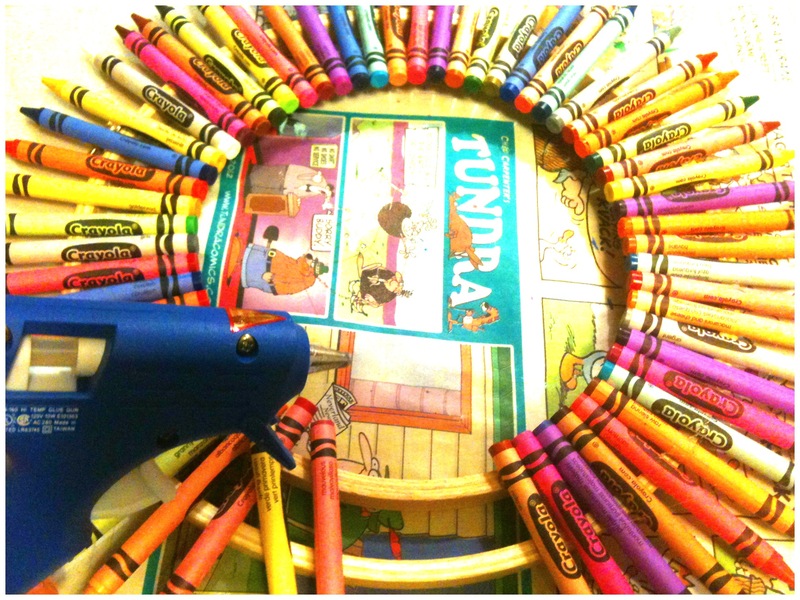 I cut them out and used Tacky Glue to glue them to the crayons. 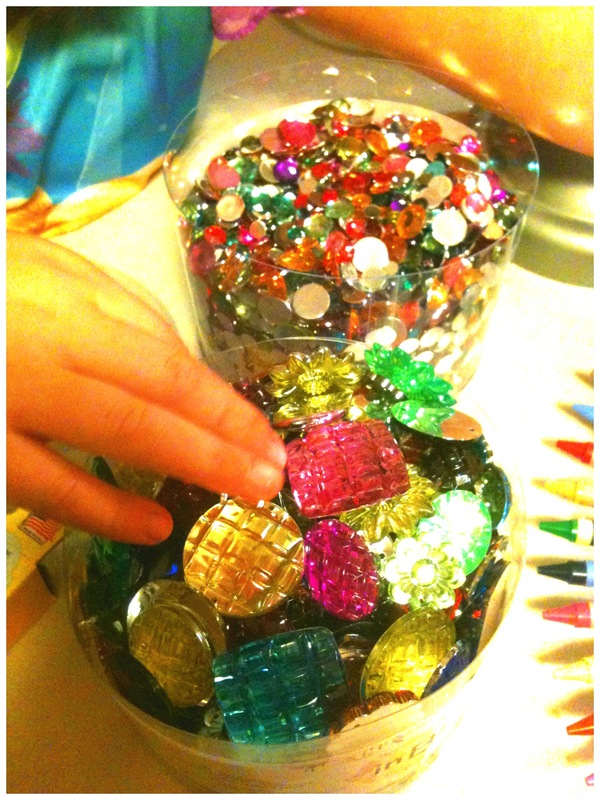 Once I did that, Emma and I started to add BLING! (My favorite part!) Check out these tubs of pure FUN! I want to go make one now. ← Why stop at the hermit crab?